We're now accepting applications for September 2019. Applications are now closed for September 2019. Check back this fall for more information! Check out the description below for a brief overview of Greenwood's Admissions process. Then, click the "Apply Now" button to get started with your application. A detailed explanation of the admissions process at Greenwood, along with the school's fees etc., is available here. Greenwood’s application process can be completed entirely online. When you access our online application portal, you’ll be prompted to generate a unique username; please keep this handy. The final application deadline for September 2019 entry is November 30, 2018. The application fee on or before our "early-bird" deadline of Friday, November 2 is $125; after this date, the fee is $250 until the application deadline of Friday, November 30. Two Teacher Recommendation Forms must also be submitted as part of the application. One recommendation should come from a teacher who taught the student in 2017-2018, and the other should come from a current year teacher. The first form should be delivered to the school as soon as possible after the date of application, and the second form by no later than mid-January 2019. The teacher recommendation form can be downloaded from the application site and should be sent by teachers to the school via email at admissions@greenwoodcollege.org. Once we have received a completed application including fee and supplemental documents (but not necessarily the two Teacher Recommendation Forms), the applicant family will be contacted by email to schedule an interview. Greenwood and for the Admissions Team to get to know you. A member of Greenwood’s Admissions Team will meet individually with the student and the parents, and with the student and parents together. If the student wishes, he or she may bring an item of personal significance to assist in the discussion at the interview. 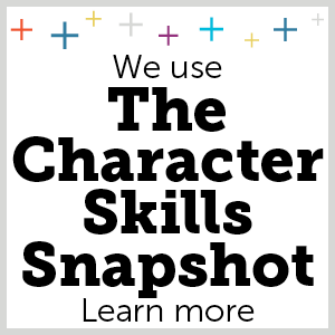 All Greenwood applicants must complete the Character Skills Snapshot (CSS) administered by the Enrollment Management Association. This online tool examines eight essential character qualities or “non-cognitive” attributes of individual students. Research shows that these qualities are the ones that independent schools feel are most important to nurture in their students. The CSS takes approximately 20-30 minutes to complete. Once you have delivered a complete application to Greenwood, the Enrollment Management Association will email you a link allowing you to register the student-applicant to complete the CSS. Be sure to select Greenwood as a school that should receive the results of your child’s CSS. Greenwood does not use SSAT results as part of its admissions process. You can learn more about the CSS here. If your child is already writing the SSAT, there is no additional cost for writing the CSS. If your child is not writing the SSAT, a fee of $35 US must be paid to the Enrollment Management Association to write the CSS. The CSS should be completed as soon as possible after applying. Greenwood Admissions events give you the opportunity to get to know the students, teachers and parents who make up our tight-knit community. We encourage you to attend as many events as you feel would be helpful to you. Learn more about our Admissions events. Key dates are relevant for families interested in gaining entry to Greenwood for their child in September 2019. 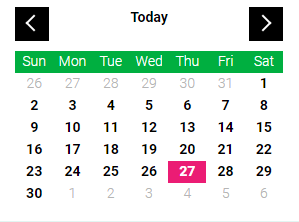 Access the full Admissions Calendar of all key dates here. Please note that for families who are applying for their child in a non-entry year (i.e., in a grade other than Grades 7 and 9), the process and timing may be different than that outlined. Feel free to contact a member of the Admissions Team for more information.